REDUCED - bring all reasonable offers!! 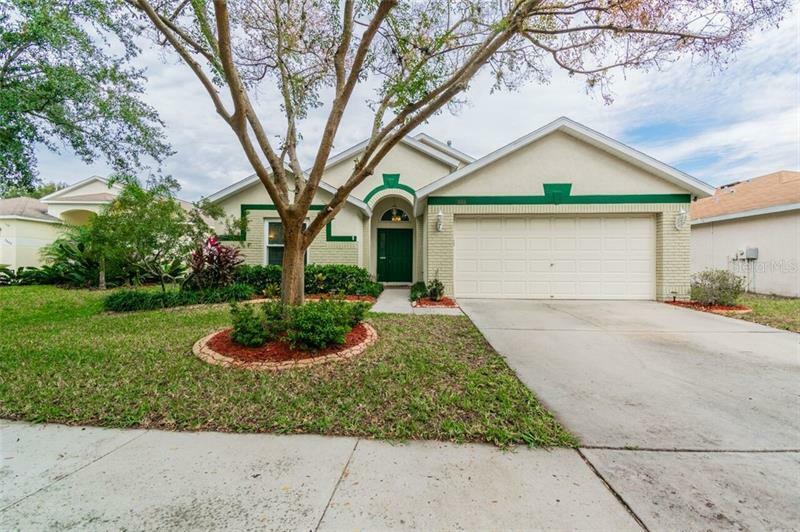 Situated on a cul-de-sac lot with fenced yard for extra privacy, this beautiful 3BR/2BA PLUS Florida room home has loads of upgrades! As you enter, you’ll love the split bedroom floor plan that offers privacy for everyone ~ two bedrooms/bathroom are conveniently located at the front of the home while the master bedroom is located at the back of the home. Spacious kitchen features an eat-in nook area, new SS appliances (with extended manufacturer’s warranty) and is large enough to add a center island. Open and spacious Formal dining room/great room boasts wood laminate floors for easy care and French doors lead to the Florida room. Large master bedroom can hold lots of furniture and master bath features dual sinks, garden tub, separate shower & walk-in closet. In the mood to sit & relax ~ enjoy your Florida room while reading a good book over a cup of coffee, this room is perfect for relaxing or entertaining family! Lovely neutral palette throughout, this home is move-in ready! Covington Park is conveniently located just off I-75 for easy commutes, offers loads of amenities such as playground, community pool, tennis courts, fitness center and more! Close to St. Joe's Hospital and all the new restaurants & shopping in the SouthShore area! New windows 2017, gutters 2017, A/C 2014, water heater 2013.